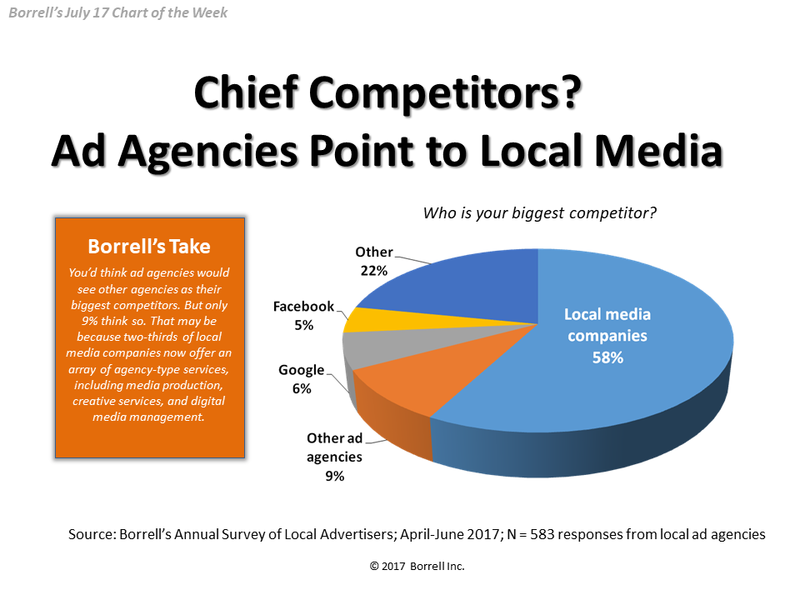 Our 2017 survey of local advertisers is under way! Launched April 3 and running through midsummer, our annual survey is the largest of its kind in North America. 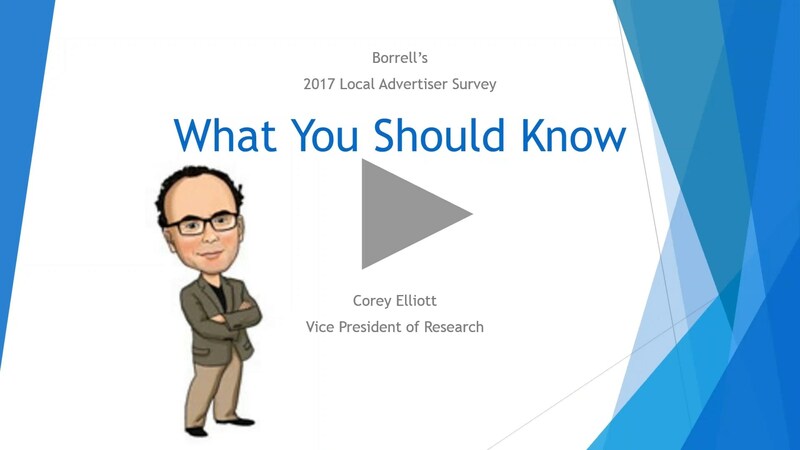 Most SMB surveys encompass a few hundred to perhaps 1,000 advertisers, or contain only a handful of questions. 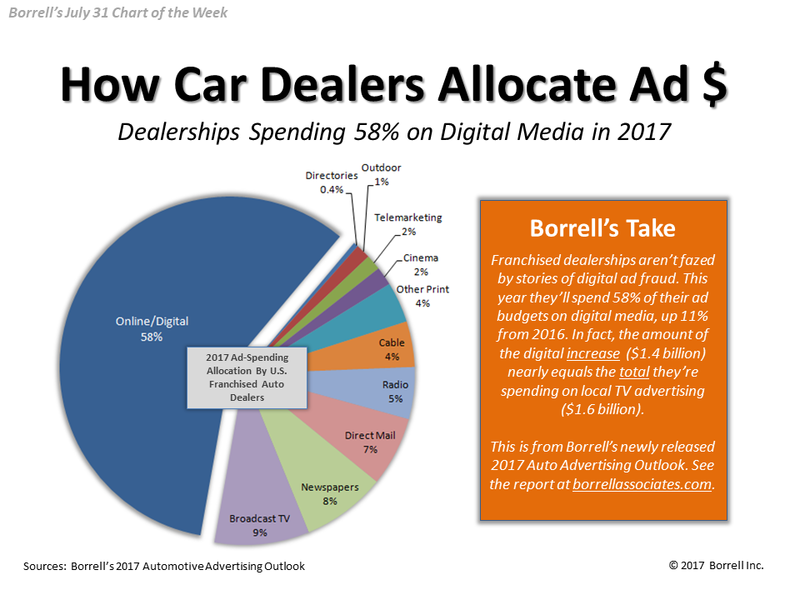 Ours reaches more than 7,500 advertisers who answer all 40+ questions, yielding some fantastic insights about current and future marketing plans. 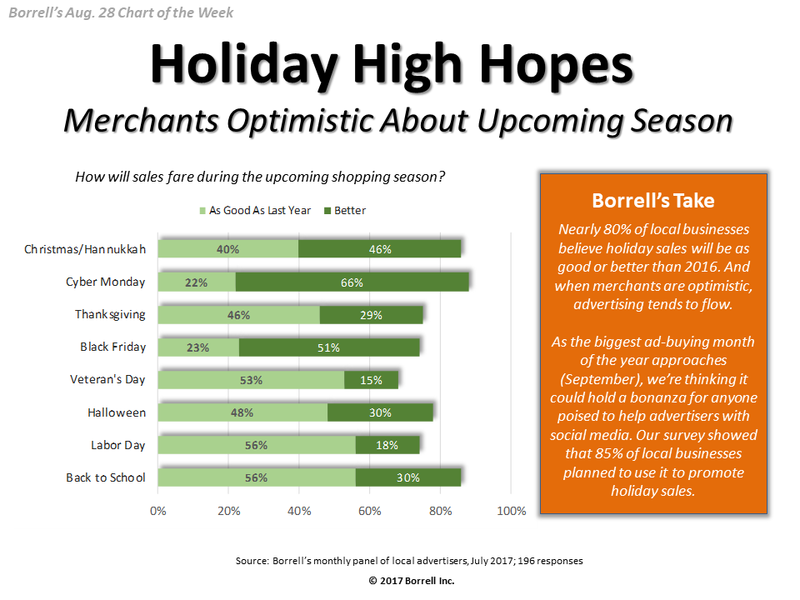 Monitor our 2017 insights from the Chart of the Week series, or learn more from our 2016 insights page. June 13: Fragmented Marketplace: Who Handles Digital Services? 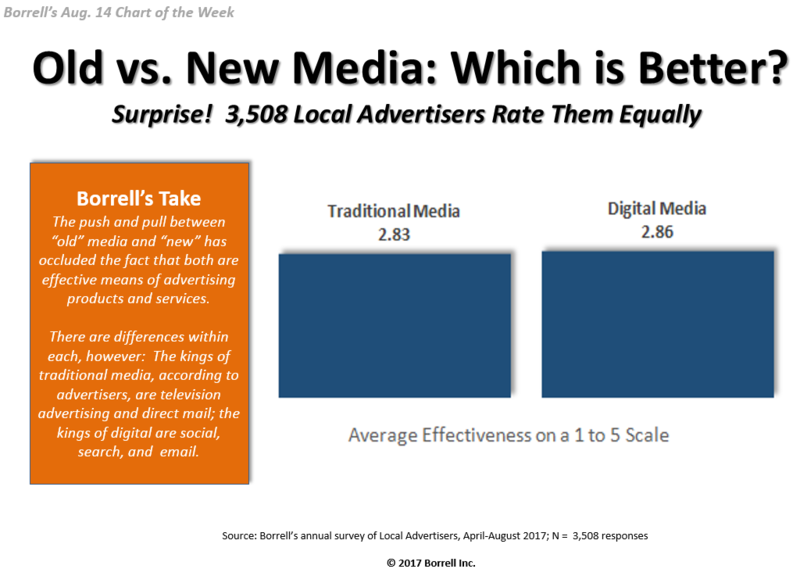 Aug. 14: Old vs. New Media: Which is Better? 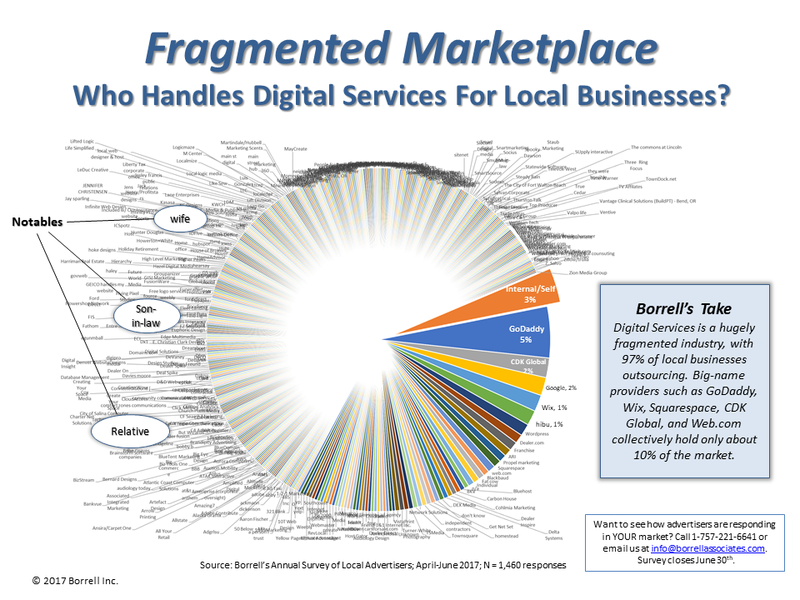 Fragmented Marketplace Who Handles Digital Services For Local Businesses? 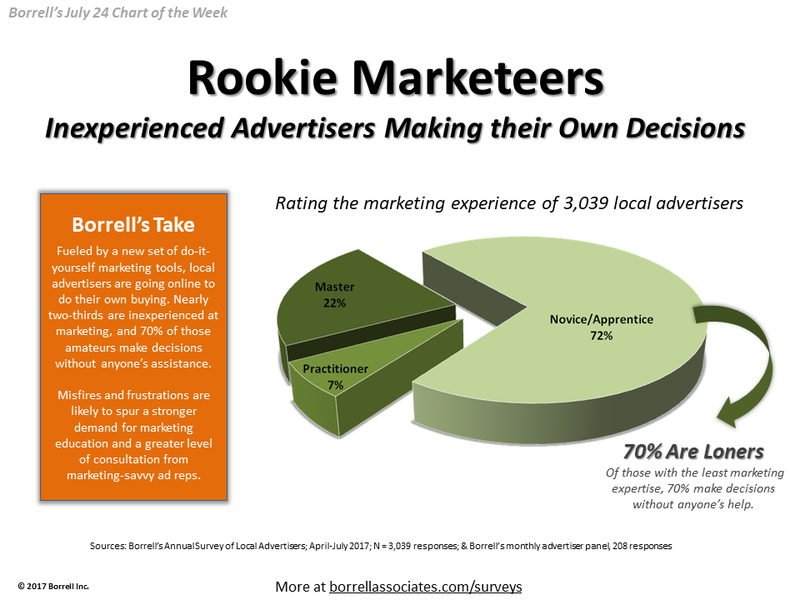 The survey is open to any company with a customer list of 100 or more locally-based businesses in the U.S. or Canada that purchase advertising and marketing services. 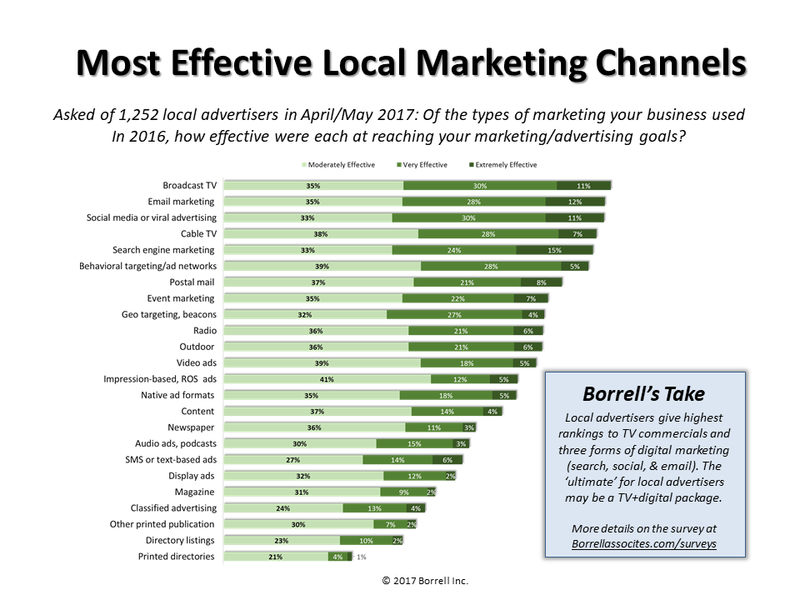 Typical participants are local media companies (radio, TV, newspapers, cable, direct mail, yellow pages, and Internet pureplays), as well as ad agencies and national companies with local businesses as their customers. The survey is turnkey to participants. 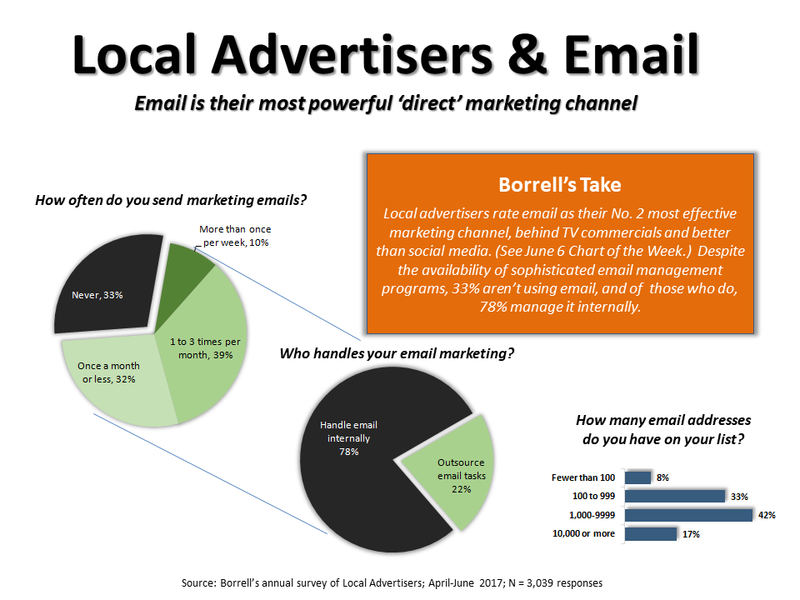 All that’s required of the participant is emailing a link to its customer list to solicit participation in the survey. 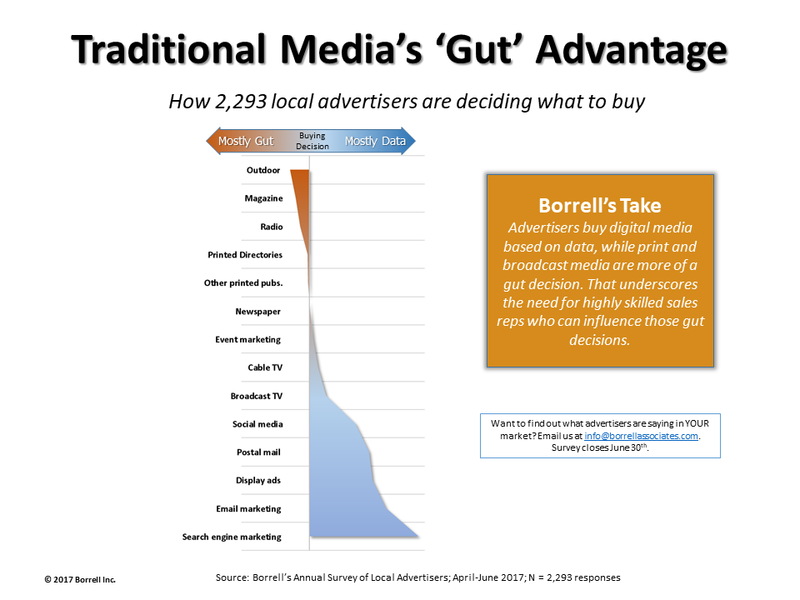 Borrell provides a customized link for each participant (or each market). Participants are asked to one initial email solicitation and two follow-up reminders to ensure high participation. 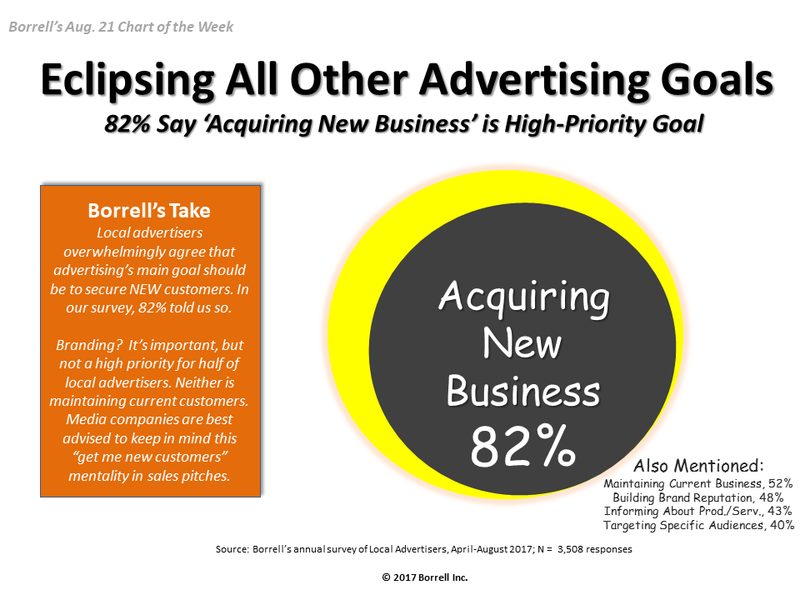 Completion is typically within 30 days of initial solicitation. 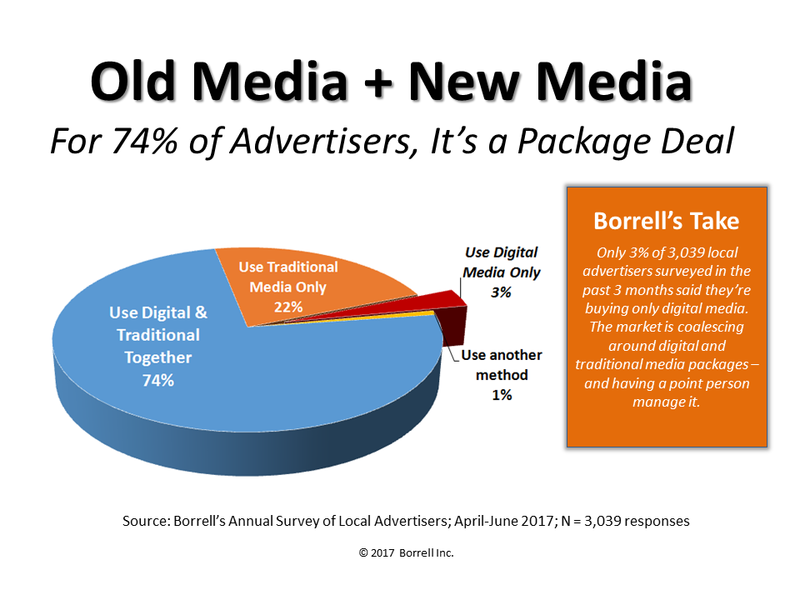 Borrell monitors survey progress and communicates with participants along the way, and compiles responses and analysis within two weeks of survey close. 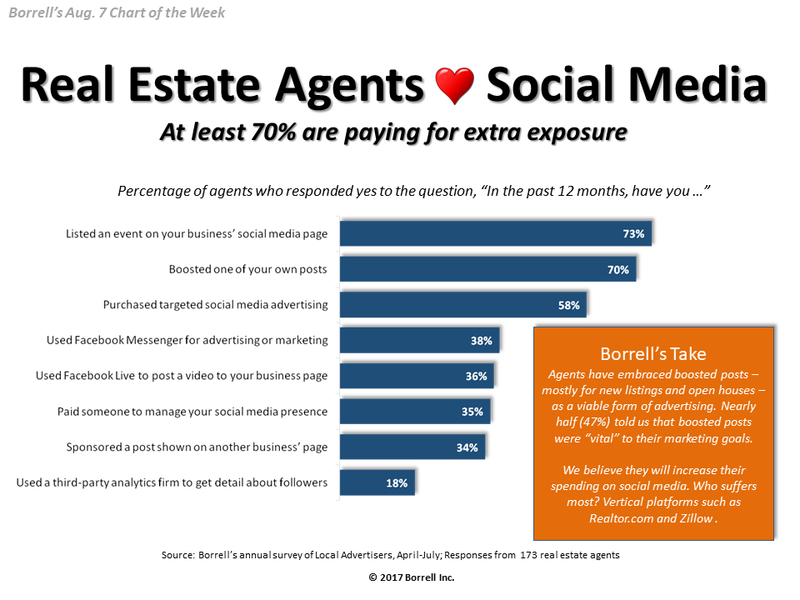 Costs are based on the number of markets (or survey links) furnished, regardless of the number of responses received. Up to 5 markets are $500 each. For more than 5 markets, the cost is $250 per market.